The best place to buy custom tailored wedding party dresses for your big day is at amarmoda.com, the world's leading online retail and wholesale website. We offer a large variety of styles at some of the best prices available online! Very lovely dress. Just as I expected. Great quality. Arrived 2-1/2 weeks after I ordered it. The dress fits perfectly but I found it a bit short. I emailed dress first for extra fabric so i could lengthen it and they agreed to send me the amount I needed. That is good service. The dress and jacket is finished beautifully. I purchased this for my sons wedding in June and in the color wisteria. I was very pleased with the ordering process and the communication with them prior to ordering and after. They were very helpful. The dress is good quality and was made to the size I ordered. I had the dress within a month of ordering. I only tried it on once when it arrived to make sure it fit. I do want to have the top altered because I feel it’s a little too loose on the shoulder and hopefully I can loose a little weight prior to the wedding. I would certainly recommend this company and having the dress made to your measurements. It's perfect for those of us who do not have a perfect body. 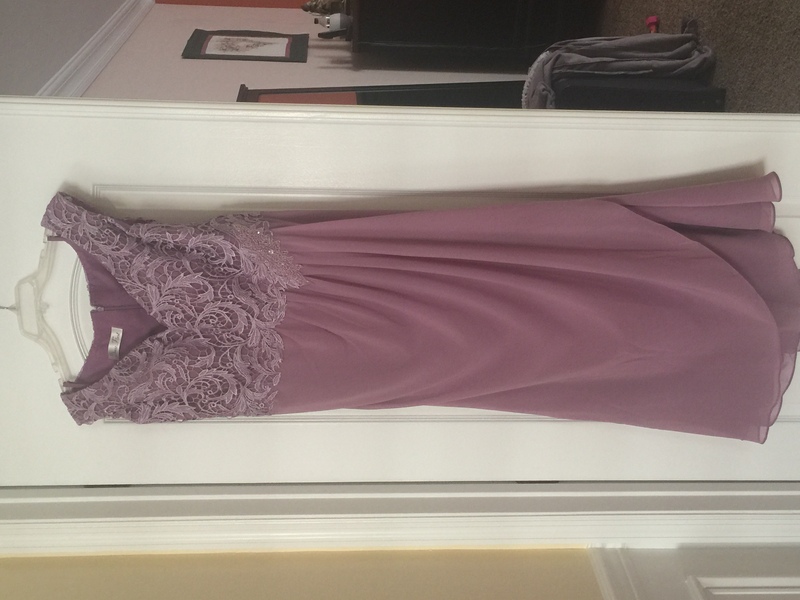 I don’t have pictures wearing the dress but can show the dress in the color wisteria.